Just a day after my Monday appointment, I received the call about my sleep study results, including the pressure needed and the home health prescription. The same day, the home health place called and starting working on my insurance company about getting me a new machine. More on that in a moment! Wednesday I transported mom to her eye specialist in Oklahoma City. I've been preoccupied during so many visits with mom and she notices every time (call it a mother's intuition). I can't count the times she's asked, "What's wrong, son?" or "Is everything okay?" And most of the time I would sugar coat my answer in an attempt to save her from worry. But she knew. She always knows when I'm "out of alignment" with my truest self. And instead of me "saving her" from worry by clamming up, her concern becomes amplified, because now she must play a guessing game as to what's wrong with her son. Something was very different during this time we spent together. The difference maker is, I'm taking good care and I'm on the right track. I'm feeling good about myself. I'm maintaining a calorie budget again and I'm dealing with all stressful triggers head on, instead of ignoring them and simply managing the stress they create. We all know how I choose to manage stress. In other words, I'm taking charge of my life on different levels. 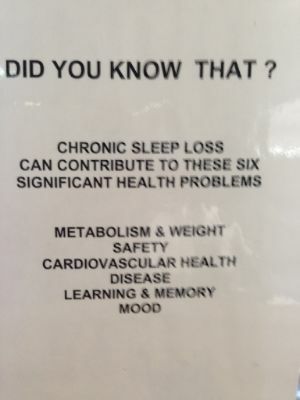 I'm treating the root cause and not just managing the symptoms, if you will. My preferred treatment of "symptoms" is to eat, and eat some more, taking a temporary escape route where nothing is solved, only made worse by the added guilt and shame that floods in after the brief hiatus from caring. At that point, everything negative is magnified, the result of my natural coping mechanism. It isn't easy to break away from these dynamics. Not easy at all. But when we declare our independence from these ingrained ways, positive things start clicking and we have some of the purest interactions with the ones we love. My trip with mom on Wednesday was one of the best we've had. Mom's eyes are doing great, by the way. Again--no surgery needed and another checkup was set for late June. Mom said "I've laughed more this morning than I have in a very long time." I live to see that woman smile and her laugh is music to my ears. We discussed issues important to both of us, with some serious points along the way, but for the most part, we enjoyed observational humor and improvised "stand-up." It was pure joy to laugh so hard and feel so free and once again enjoy our time together, instead of being preoccupied with the countless distractions the quicksand of a downward spiral brings about. I can personally attest to most of this list. If my recent doctors check up is any indication, I may have dodged the cardiovascular health issue, at least for now. It would have become a much more serious issue had I let it go, unchecked and rampant, without putting on the brakes and admitting it needed immediate attention. I left their office with a new machine and a truckload of hope and anticipation of the incredible differences being properly rested will bring. I've had three nights on this new machine and the difference is profound. It isn't perfect as I try to get accustomed to a new headgear and mask, but even with this adjustment period, I still feel more rested than I have in three years. Exactly as I hoped. A little more than a month ago, I received a message from a man who said he wanted to meet and talk about his weight issues. He told me we had communicated once before about this, but now more than ever, he was ready to sit down and discuss how to start, because like many of us at one time or another, he was stuck in the place where the question "Where and how do I start" weighs heavier than any number we've seen on a scale. We set a time to meet face to face at the studio and we talked for a while before walking to Subway for a low calorie dinner. If you condensed the resolution to our discussion down to three words, it was "keep it simple." We met up again Thursday evening and it was a different man in front of me. He was thrilled with the simplicity of using My Fitness Pal for calorie counting. He had been maintaining his calorie budget despite an upside down schedule and a high stress kind of job that takes him to the streets of North Tulsa five nights a week. His recent doctors appointment showed a loss of 6 pounds. He's gained a confidence, calm and patience that was shining through with every word and expression. He thanked me for taking the time to meet with him again and discussing this road we both travel. And I thanked him. Because let me tell you something---as much as he thinks I'm doing him a favor...he's doing me one equally significant. The support we give and receive is so crucial to our success. And he's the one doing this. He's the one shifting his perspective and making the big and small adjustments. He's the one inspiring, not only me, but everyone around him. He has a very positive road ahead and I'm honored to be riding shotgun. Whether it's a cop out or not depends on your perspective. My opinion is, it's a valid reason. That's my perspective. And there's a good reason for this perspective. We both know that it was/is completely possible to take care of our calorie budget and exercise no matter the circumstances. I think we both agree there's a place, a zone that exist, where it doesn't matter...nothing penetrates...no stress, situation, emotion, nothing...nothing, nothing stands in the way... And that's all well and good, except it's missing something. We must include a level of compassion for ourselves. I believe the pursuit isn't perfection, it's pursuit of a balance. That balance we're looking for is a place where eating good and exercising naturally becomes part of our daily lives, no matter what we're experiencing. And we accept that it doesn't need to be perfect. We accept that we shouldn't label every circumstance an "excuse" or "cop out." And we know the difference because we're intelligent people. In this "compassionate state," I believe we're actually able to accomplish more than we did before and in a more solid, sustainable fashion--because we're not sabotaging our emotions with negativity. So the simple answer to your question is, no, it's not a cop out. This issue has been a big factor for me this time. This whole self-compassion dynamic has been key for me the last six weeks. I'm practicing compassion and I'm finding balance and success. It's like I'm learning to crawl again, lifting myself up and eventually walk again and then, I will run again. The pressure to be "perfect" has been dismissed, replaced by the ruling majority of better choices and taking one day at a time, one step at a time. And I'll get to where I envision and I'll arrive stronger than I ever imagined. 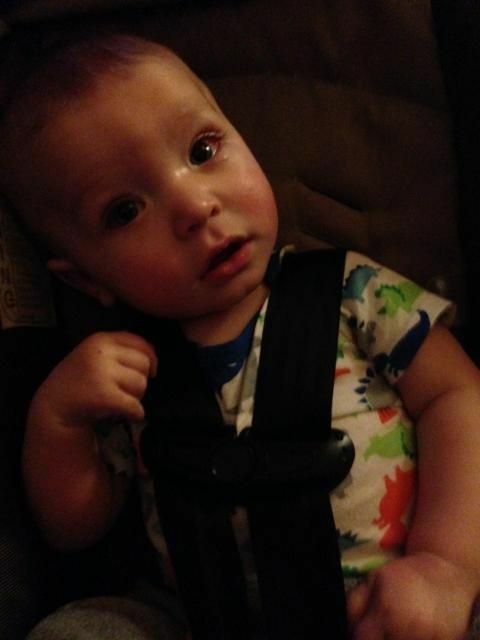 The video below is my grandson Noah a day after he figured out how to crawl. He too is off to the races and soon he'll be walking, running and jumping. He doesn't ever have impatient thoughts about his development, because he hasn't developed the references needed to form and qualify them. Instead, he happily, confidently and patiently proceeds, doing his best...growing and learning, and progressing on a schedule unique to him. My tender connection to him was never more profound as it was while watching him become emotional and fight against taking his medicine. Without thought, my lip started to quiver and emotion swept through me, as if we had transmitting cables connected between us, feeling each others emotion on the deepest level. Dear Lord, I love that boy. Now that I'm feeling better rested, it's time to exercise more regularly. That's my plan as I continue on, maintaining my 1700 calorie budget. Giving and receiving support is a must-have element to my success. I'd love for you to connect with me on Facebook (www.facebook.com/seananderson505), Twitter (@SeanAAnderson) and My Fitness Pal (SeanAAnderson). What a wonderful feeling it is to be taking care of me. I'm taking good care. I'm being proactive, facing issues head on and getting results. My second sleep lab Friday night was very good. I didn't sleep as long as I wanted but I slept soundly and perfectly for the first time in over three years. It was only five and a half hours worth but it was quality. Again, no instances of central apnea. And now the doctors have the data they need to prescribe me a cpap setting for optimal rest. Yay! Proper rest will make an incredible difference for me. I'm so excited, I can't even properly explain how much. The self-critical part of me really wants to berate me for waiting so long to fully address the issue. But I'm silencing that inner voice. Because really, inner voice, what good do you expect to accomplish by bringing that up? What's done is done. I've traveled this way for a reason. And now I'm getting back on the main road. I'm not lost anymore. After learning from the previous detours, the only things that matter now are the things ahead. With my sleep situation in a critically severe state the last several months, it's taken all the energy I can muster to get back on solid ground with my food. Exhaustion can breed depression and it certainly has with me. I've allowed myself a very lax schedule as far as exercise is concerned. I would have to go back and count the days on my fitness pal, but I'm pretty sure I've purposely exercised maybe 6 times in the last five weeks. This has been an act of self-compassion, a temporary allowance if you will, while I get my sleep situation and food under control. And quite honestly, maintaining a 1700 calorie budget has been a big enough challenge, especially after being "off the rails" for a while. I'm proud of this 10 pounds. It proves that I can lose weight again!!!! You know what I mean? When you're in the free-fall of spiraling weight gain it sometimes feels as if losing weight can't possibly happen again. Well, this is proof positive, I can lose weight again!! I've been so sleep deprived, it's a wonder my metabolism still works at all. Apparently it does. Perhaps not optimally, but we're going to get there. One step at a time. My blood work came back phenomenal. Glucose: 89. Total Cholesterol: 190 Triglycerides: 73 Bad cholesterol: 137 Good cholesterol: 38 Liver: Perfect. Kidneys: Perfect... Sean: Lucky; just flat out blessed. It's genetics. It's gotta be genetics. I'm truly blessed to get back these kinds of numbers. Oh--and I almost forgot--my blood pressure was wayyyyyy better. Slightly elevated at 140/88, but a drastic improvement from my last appointment. It wasn't like last time when it was at an "Oh my, this is scary high" type level. Instead the doctor was happy to see it had improved. And it will continue to improve! What's the plan now? I will continue to allow 1700 calories per day. I will gradually increase exercise (especially after I get the new sleep setting around the end of the week), I will increase my water consumption (something at which I've been notoriously inconsistent-even during my initial weight loss) and I will maintain my level of support through through all the channels I currently use. Support is key. It's absolutely crucial. We don't have to attempt to do what we're doing alone. This isn't a solo deal. I'm using a wonderful social network of support via Facebook, Twitter, this blog and My Fitness Pal. Wow. What a good day. I really wanted at least 15 pounds, I did---I really did. But you know what? It's coming. It's straight ahead. And when you're feeling that feeling of determination mixed with a balanced control, the anxiety is lessened... There's peace. And all of the goals feel attainable once again because you know, aside from a few adjustments here and there, the only other variables you need are patience and time. Today is Valentines Day and what would have been my little brother Shane's 37th birthday. If you've read my book, the chapter titled "Shane's Gift," then you know how much Shane meant to me, and still means to me today. 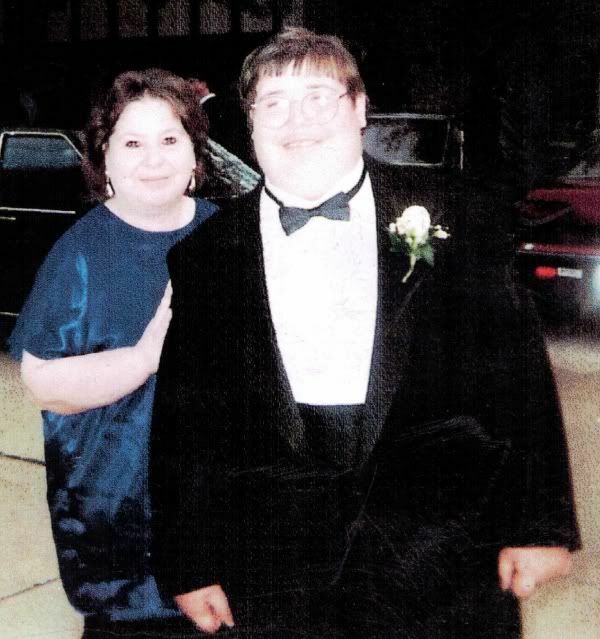 This photo is Mom and Shane before his high school prom. He loved putting on the tuxedo! I've been doing very well lately. I feel a familiar determination I haven't felt since my initial weight loss. More and more, I'm exploring valid reasons why I deserve to feel better. In the heat of temptation or cravings, or both, I pause long enough to think about what I'm doing and why I'm doing it. If it seems to be a "driven" type thing--then I quickly text someone and explain the situation. Then it's better. The pursuit this time is different from before. Having been there, I know what it's like to be at goal and live in the smaller clothes and have this normal sized reflection staring back at me in the mirror. So the mystery is gone, the anticipation of what it will be like isn't the same as before. So my goals have changed. I don't know if it will be 230, or 220, or 250...It really isn't about a number this time. It's about taking care and living a balanced life with food. If I live a balanced life with food and exercise, I'll not be overweight. And whatever I need to do to maintain a healthy balance and relationship with food, is what I'll do. Meetings, support groups, writing and of course, texting when I'm tempted to seek comfort in food or seemingly driven toward sugar and high fat items. I will continue seeking out and confronting issues in my life that need handled instead of trying to smother them with food. So that's my goal. And there isn't an end date. For someone like me, maintaining this balance will be an everyday discipline, required in order to live at a healthy body weight. The biggest mental hurdle is accepting and being okay with that requirement. It's important to come to terms and realize, this isn't a temporary reprieve I'm after. I want to feel better the rest of my life. Speaking of feeling better. I'm about to head South for Stillwater where I'm spending a couple of hours with mom before heading over to Stillwater Medical Center for my next sleep study. Tonight should be the best sleep possible. If all goes well, I'll feel more rested than I have at any time in the last three years. I keep updates on Facebook and Twitter, plus My Fitness Pal. I'd love you to join me on those other social media outlets! I'll write more over the weekend. I had a chance to visit my grandson Noah last night. He has pink eye and in this photo he was fresh from the doctor. He has good medicine and he'll shake it in record time, I'm sure! He so cute!! This is one of my favorite pictures of mom and me. 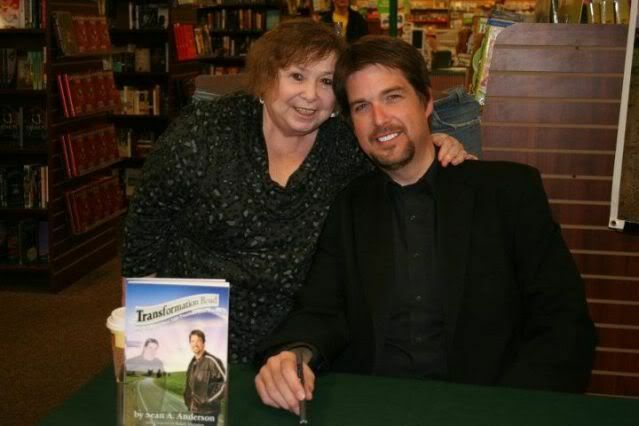 It was January 2012 at my Hastings book signing. Looking forward to seeing mom this evening! Someone asked me the other day why I share the way I do and why it's so important to me. They suggested, in their opinion, I sometimes "over-share." They were interested in the motivation behind my efforts. Is it for attention? To be loved? To feel important? Is it the product of some kind of deep seeded deficiency dating back to childhood? My response started with a question. What is it about what I do, that stirs you to the point of having these questions? Do I touch a nerve or two? Does what I write and share occasionally hit home on points too uncomfortable to handle, so instead of questioning yourself, your defenses go up in the form of questioning my motivation? Only two people have ever witnessed my raw, emotional reaction when I receive an email or facebook message from someone sharing their story with me. Nothing reduces me to tears faster than reading some of the most sincere, empowering words from someone who is finding their inner strength to choose change. When I tell someone I'm overjoyed for them, I mean it. I suppose it's very hard for some to grasp. This blog started as a tool for me, for my benefit. I started it to keep me focused and true to myself with the added accountability factor of a publicly shared journal. This blog was a way for me to dissect, analyze and unravel the inner mysteries keeping me over 500 pounds for so many years. Very few people followed along, reading each post, before AOL ran a feature story on their home page. Then things started changing. I started connecting with more and more people and I started realizing how this wasn't just helping me, it was helping others. Did I get caught up in the commotion of it all? Perhaps. But nothing brings me back home to the most raw, emotional place--like reading someone else's story of liberation. I write this blog for me. It must be for me, first and foremost. If it wasn't, then I would have continued a song and dance during the darkest periods of regain. Instead, I retreated from what was best for me in many different ways. Some say it would have been helpful to read the "off the rails" version of things...And I get that, but again--where I was wasn't a place inspiring me to write anything helpful to me or anyone else, really. Coming back and sharing about where I've been and where I want to go, is as good as I can do. Occasionally, I might write a piece as if I were in the middle of the fall--kind of a time traveling concept...might be fun and therapeutic for me. But maybe not. I mean really, could be kind of scary. I also don't do this for money. Yes, I would very much enjoy doing what I do for a living and there isn't anything wrong with that at all. But to this point, the relatively small financial reward hasn't been a big component of what I do (Just ask my creditors!). The last sentence of my Day 1 entry still holds true, "I believe it will help me stay on track and maybe along the way it will inspire someone else to stay on track." Pretty simple. That's what it's all about. I don't do what I do for attention, for love, to feel important or any other slightly bent off-center motivation. I do it for me, to help me and when what I do in helping myself affects someone else in a positive way, it's the most wonderful bonus of all. I am loved. I am important. And those facts were true long before The Daily Diary of A Winning Loser or Transformation Road came along. There's still plenty of road ahead. And I'm honored you're choosing to ride along. Thank you. Back in February of 2012 I stumbled upon his book on Amazon, at the time I did not know Sean. I found the reading of the book absolutely riveting and powerful. 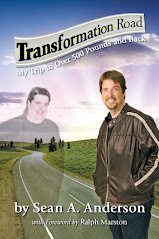 Being similar weight, height and body type the motivation from his book hit me like a home run. At the time I was a very private person and not one willing to discuss my own weight issues with others. I took at chance and emailed Sean hoping for a response. Here are some quotes from my original email. I was very excited having Sean respond. Here is some very powerful quotes I will never forget in the first email Sean sent me. Back in February of 2012 this was very powerful motivation, a man who truly cares about helping others with there own weight issues, and have stayed in touch with Sean ever since. If not for Sean, I would not be blogging or have created my Spark People page. Since February 2012 I often visit Sean's blog archive or read his newest post. Sometimes pick up his book or exchange emails. My one constant go to source that has enabled me to get to the point where I am at today. I encourage anybody who has not read Sean's book, please do so. Thank's Sean for being such a great friend and motivator! The only thing missing from my response to Jon back then, was how important it is to connect with your spiritual side. Whatever that is, is totally up to you and your understanding. And for some, this connection is very natural, going hand in hand with making changes. But for me it's been a learned element through trial and error. I've always been one to learn things the more challenging way. But in that, I've learned a great deal I might not have otherwise. We're not alone along this road, ever. "Today is two weeks since I started eating healthy again and exercising minimally , but have managed to lose 10lbs. At the store last night, for no good reason other than habit, I walked up to the ice cream section, opened the door and reached for my all time favorite non-narcotic drug of choice, but mid-reach, as I spotted my bracelet, I thought to ask myself if the calories and self- loathing to follow my treat will be worth it, and I imagined you and all of your supporters there with me in that moment, as I allowed the door to close. I continued to shop, without a battle raging in my head for and against the ice cream. It was like an out of body experience thinking of all the other people out there who say no too, and made it, in that moment, easier than it has ever been in my recent memory to walk away empty handed. Thanks Sean"
Reading this also empowers me! Do you think I could possibly be in the frozen "treats" section of my local grocery store without remembering this message? No way. We've helped her. And she's helped us. 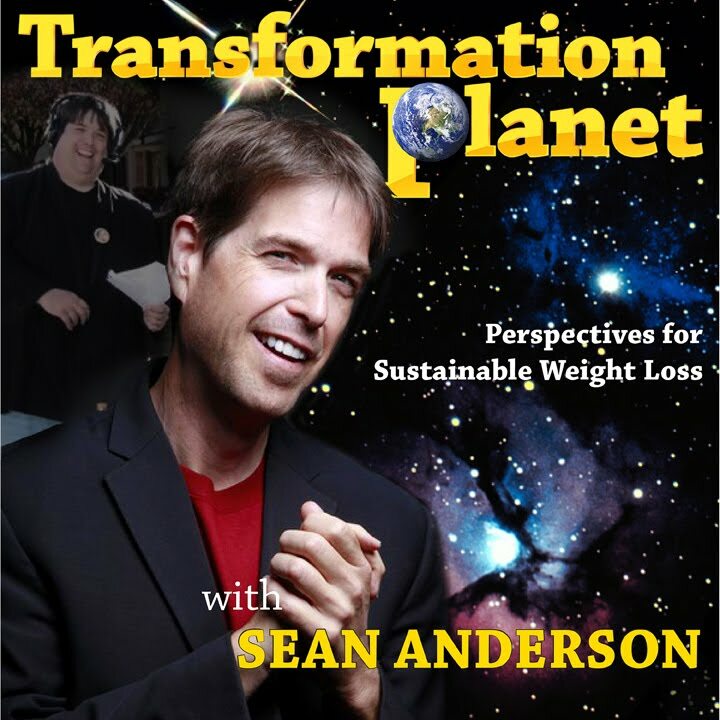 I would love for you to connect with me on My Fitness Pal (SeanAAnderson), Facebook (facebook.com/seananderson505) and Twitter (@SeanAAnderson). Each of these social media platforms have a different type content and do different things for me. I post a bunch of food pictures to Twitter. My daily food diary is public on My Fitness Pal and Facebook is a place where I connect with friends the most, often through what I call "micro-blogs" and various other postings. Quick update on where I am: I'm keeping a 1700 calorie budget. I haven't been exercising regularly, yet, and that's okay for the moment. I'm having another sleep study the night of the 14th to at last determine the proper therapy enabling me to finally feel fully rested. My doctors appointment that was the 11th had to be rescheduled for the 17th and that's when I'll have my first official weigh-in since "coming back to life." I'll continue with monthly weigh-ins from that point forward. I'd be grossly misrepresenting if I pretended this week has been a cakewalk. Poor choice of words. It has been very difficult to maintain balance. I've stayed within my calorie budget. On the surface that's a wonderful thing indeed. Below the surface, I've fought very hard to keep the calorie budget intact. Call it steel curtain zone or whatever you want, it's been a battle. But why? Stress triggers reactions and for someone like me, those reactions are hard wired and often circumvent the rational part of the brain, the frontal cortex. This dynamic is addiction, pure and simple. I've watched some incredible documentaries on the subject, the best being "Pleasures Unwoven." The only way I've been able to survive is through prayer, meditation and reaching out to friends in moments of weakness. I've been staying "visible," instead of isolating. It's amazing how something as quick and simple as sending a tweet, sending a text or responding to an email or facebook message, empowers me, brings me back around and gives me strength. And hope. Because there's plenty of hope. And that's an important thing to hold tight, especially in the face of stress. So what to do? I mean really, stress is a part of life, right? Yes, it is. The question is, can I face the stress and handle it in ways that work to alleviate the stress? In other words, deal with issues head on? Yes. Yes I can. My recovery is very important to me. It's much more important to me than it was during the initial weight loss. Why? Because I understand it better now. I understand me on a level much deeper than before. And this understanding is met with a greater respect. I'm Worthy Of More Than I've Given Myself. I understand that many of the stresses in my life were created by me and then made worse by my attitude and perspective toward them. And that's okay. Isn't that interesting? It is to me. When I dissect particularly stressful elements of my life, I can clearly identify how they were created, when they were created and I can honestly evaluate how I've reacted to them. This is a breakthrough for me. And this isn't another chance for me to be harsh on myself, not at all--quite the contrary, in fact. If I can clearly identify the stress I've created, then I can change my attitude and perspective toward it and alleviate its power. I can face these things head on and armed with a new attitude, I can manage them one by one. And you know what that means? Less stress equals less struggle. Alleviating some stress might require simplifying certain things and that's a good thing. Simple is good. I like simplicity. The other day when I chose the meatball sub full of fat and sugar, I knew it wasn't the best choice. I counted it and moved on. I didn't beat myself up for the choice. I did however, acknowledge it and evaluate the choice. One of the things that's helping me stay on track is my food planning. I do not, under any circumstances,miss breakfast. Well--except tomorrow and I'll explain in a minute. I start each day with a good breakfast full of protein and one that taste good. Typically, it's a combination of whole eggs and egg whites, with veggies and low fat-part skim mozzarella cheese on a Joseph's Pita. If I want more, I add some yogurt or fruit. I keep posting similar breakfast photos on twitter and lately with the resolution to switch it up some--- maybe some oatmeal with fruit every now and then. While I'm preparing breakfast I'm also preparing snack baggies of fruit. I'll include some string cheese too. And sometimes, not always, but sometimes a lunch of some sort. I've been coming home often in the middle of the day to nap before going back to work for the "second half." I'll normally have time to work out lunch during this time. I've been doing this because of my sleep condition. Not feeling rested is an enormous issue. I return for another sleep study on the 14th. Tomorrow morning I'm fasting for blood work. I can have water and surprisingly, black coffee. I'll take it! When the nurse said "Nothing except water and if you're a coffee drinker, black." I was shocked. I'd always heard just a sip or two of water was best. But I'm not arguing with the professionals. I'm happy to have coffee in the morning. It'll be very different not eating breakfast early. My regular doctors visit will be the 11th. I'll get the blood work results and weigh in at that visit. I'm keeping active on Facebook (facebook.com/seananderson505), Twitter (@SeanAAnderson ) and My Fitness Pal SeanAAnderson. If we haven't already, I'd love to connect with you on any of those social media platforms. As the days go by and my resolve remains strong, my biggest challenge hasn't been maintaining the integrity of my calorie budget. My biggest challenge has been time management and maintaining a balance with my chosen methods of social media. I'm behind on my blog reading list and answering emails and messages. Returning support is very important to me. The support you give me is sincerely appreciated and I hope you know this, because it's an absolutely critical element of my success. I'll continue doing my best and finding a balance with my time and energy. Sleep Issue Update: I return for a 2nd sleep study on February 14th at 8pm. This time will include using an adjustable machine the entire night in an effort to determine the optimal settings for my best rest. I'm looking forward to feeling rested again. Good rest, good sleep is a requirement for living the best life possible. The benefits go far beyond weight loss. It goes without saying, being exhausted dramatically and negatively effects everything along this road. I think it's perfectly fitting that my sleep study is set for Valentines evening. For one, it's my late brother Shane's birthday and he always wanted what was best for me. Taking care of me is self-love. Getting this done and my sleep situation corrected is one of the most loving things I can do for myself. Today marks three weeks of being committed and staying focused come what may. I still have 10 more days to wait before I weigh and that's perfect. My philosophy on weighing hasn't changed. Like many of my friends along this road, I've allowed the scale to wreak havoc on my emotions too many times. And I'm embracing the idea that this isn't about a number for me, it's about recovery. It's about getting back to a healthier existence. I will weigh monthly, mainly because I like statistics. But I'll be very careful and aware of how the numbers effect me, good or not as good. The point is, if I'm maintaining a balance and taking care of me, then truly the scale takes care of itself. The only time the scale has ever gone up is when I'm not properly taking care of me. And I'm doing my best to fully appreciate and accept that this isn't a quest to get back to 230. This isn't about simply hitting that mark. I've done that. This is about learning from my previous experiences and getting to a place where maintaining my personal balance with food and exercise is a constant in my life. If I make that the goal, again-the weight will drop and I'll be healthier for the effort. Maintaining balance with everything life throws my way is the challenge. Live tweeting the dinner service tonight at a banquet and awards presentation. I'll have a snack prior and navigate what's served with calm. Feeling very strong, confident. Thank you for the support! Potential calories so far: 2000. My calories so far: 0. I have 528 to spend. I'm waiting for the main course. No more calories for me at this event! Thank you for your support! My phone is about to die (4%), so I'll cease the live tweeting now. During the course of this "Live-Tweeting," I received wonderful support from those following along as it happened. And I thank you very much!! The entire event was spectacular and the highlight of the evening was the broadcasting company I work for winning the business of the year award! Walking to the parking lot afterward, I couldn't help but feel an overwhelming sense of gratitude for a perfect event in so many ways. My support system was in place and worked beautifully. The most challenging part of the evening was seeing so many people from the community, many of these people cheered me on before and haven't laid eyes on me since I've regained. Being okay with that and shutting down the inner voices of insecurity, guilt, shame and whatever other negative emotions get drummed up in a post-regain situation like this, was a blessing. Having a calm and peace in this dynamic is because I'm embracing me, all of me and I'm taking care of me in wonderful ways. I'm headed to a healthier version of me and I'm doing what needs to be done to get there. It's none of my business what anyone else thinks of me, good or bad, about where I am or what I looked like at this event. I'm gloriously me. And visiting the restroom, looking in the mirror and reminding myself of this was a part of the evening, twice. Besides, people are typically too busy worrying about themselves to notice others, at least not to the degree our brains would have us believe. So much more I want to share here, but I'm out of time for now. I'm going to fix some brunch and get ready for a remote broadcast this afternoon. I hope you'll follow along on Facebook, Twitter and My Fitness Pal too. I'm Seanaanderson on MFP.